Trainers, enter a new dimension of Raid Battles in Pokemon GO with Palkia! Enter a new dimension of Raid Battles with Palkia! A new arrival to raids will test your strength in 2019! 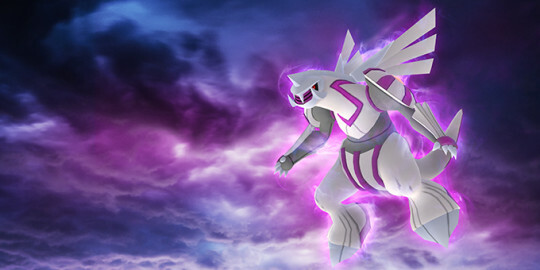 The Water- and Dragon-type Spatial Pokémon, Palkia, will join Raid Battles across the world from January 29 to February 28! Be sure to assemble a team that includes Dragon- and Fairy-type Pokémon to take down this Legendary Pokémon before its special attacks overwhelm your team! Don’t miss this chance to catch this Legendary Pokémon before it returns to its own spatial dimension! Stay safe, and happy exploring!